Our first day at nursery! I have been looking forward to this day for a long time! The boys are soooo ready for nursery and I am even more ready for a little rest! They qualified for their free 15 hours a week this week and I have taken advantage of them. I love having them at home, but I’m really looking forward to being able to let nursery occupy them for the morning while I organise afternoon activities. 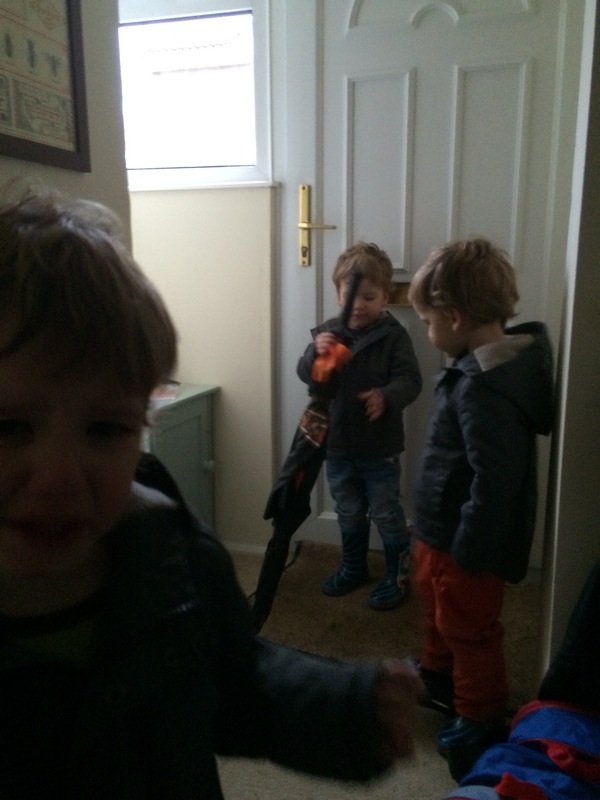 I didn’t think the first morning would go particularly smoothly, they have been saying all week “I don’t like nursery” – but unless it’s Thomas The Tank Engine or covered in chocolate this is their default opinion on everything at the moment. They flat refused to wear their new backpacks and began screaming their socks off at home. 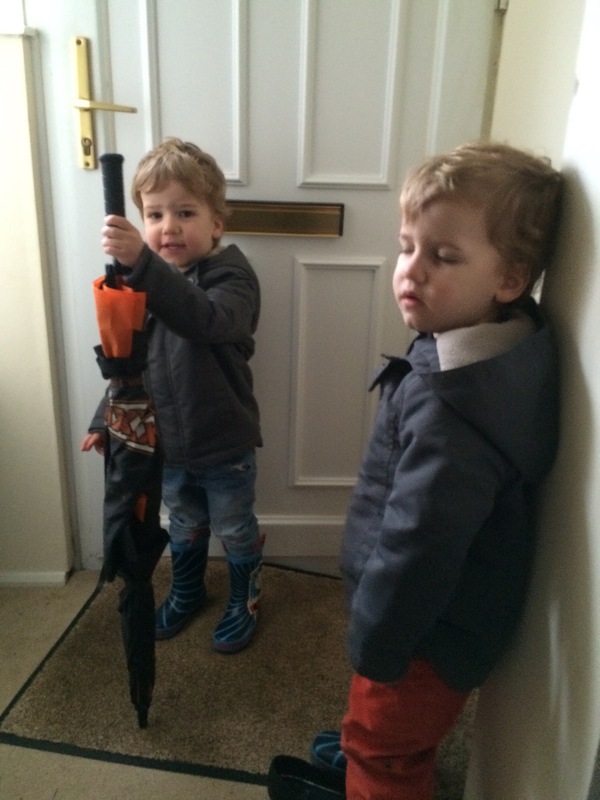 Oscar however was convinced it was raining at nursery and insisted on taking the umbrella (I didn’t argue).